It is interesting that in an era of consolidated messages for use in digital channels, campaigns for justice often develop shortened, “catchy” taglines. These phrases provide a touchstone for unified voices and repeated commitment to a cause – the sound of people fighting together, building on more and more voices when these voices may otherwise be drowned out. “No Dakota Access Pipeline,” or #NoDAPL, emerged as a response to thousands of voices being silenced, and it was heard. It is a term defining North Dakota’s Standing Rock Sioux’s, other First Nations’ and nonnative allies boundless efforts to halt construction of the Dakota Access Pipeline. It is a call to not allow their lands to be used for an oil pipeline which would cross 1,134 miles of land, including sacred sites as well as crossing water sources from the Missouri River and Lake Oahe. It is a subsidiary of Energy Transfer Crude Oil project that happens to include “access,” rather ironically, as those that it effects most have had so little over the course of American history, and would only be removed of more because of its creation. It is a stand against all of these things, and further, it is an echoing call for hope in the face of environmental destruction, dismissal of Native American rights and the rise of governmental “loop holes” which threaten water, livelihoods and the dignity of millions of people. Indigenous peoples, allies and environmentalists would not let this happen. DAPL, also known as the Bakken Pipeline Project, was approved by the U.S. Army Corps of Engineers on July, 27th 2016. This pipeline would transport 470,000-570,000 barrels of crude oil per day from North Dakota, across South Dakota, then from Iowa into Illinois, eventually being transported to larger markets across the midwest and east coast. After last year’s crossroads and halt of the creation of the Keystone XL pipeline, evaluation of the environmental conditions which could detrimentally affect hundreds to thousands of ecosystems and people was a top priority for Native peoples and environmental activists. The Keystone pipeline was determined to become a significant risk to the Nebraska Sandhills region’s fragile ecosystem; respectively, DAPL could spill into major water sources for millions of people – potentially having horrible consequences for the Missouri River – and would exist under 1 mile outside of the Standing Rock Reservation. These pipelines bypassed the necessary National Environmental Policy Act environmental impact statements. Additionally, this project used a “loophole” in the Clean Water Act, as U.S. Army Corps of Engineers looked at several hundred waterways and the effect of the pipeline to each one as independent smaller projects, instead of one larger structure. This is an entirely inaccurate way to measure the effect of this pipeline on the environment, and it was a massive factor for why construction began to move forward despite the push back and the risks. 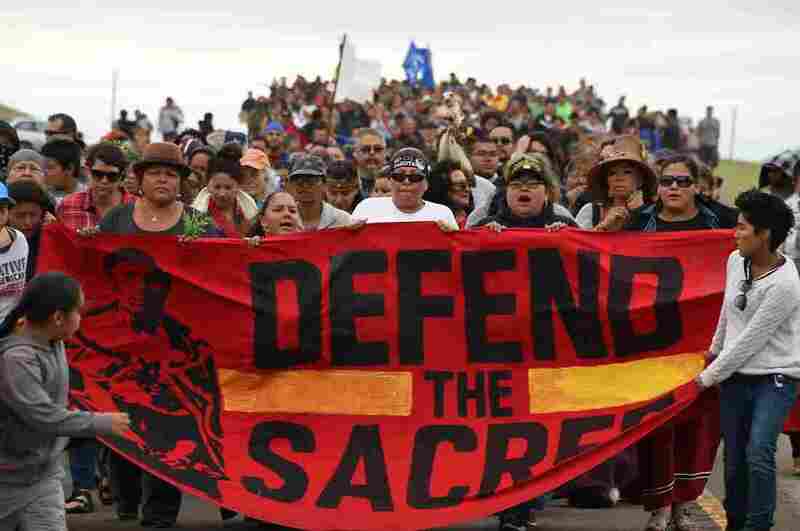 Native American groups, allies, environmental activists and celebrities came together to say no to the Dakota Access Pipeline and the potential to destroy their sacred lands and water with this project and potential spill. 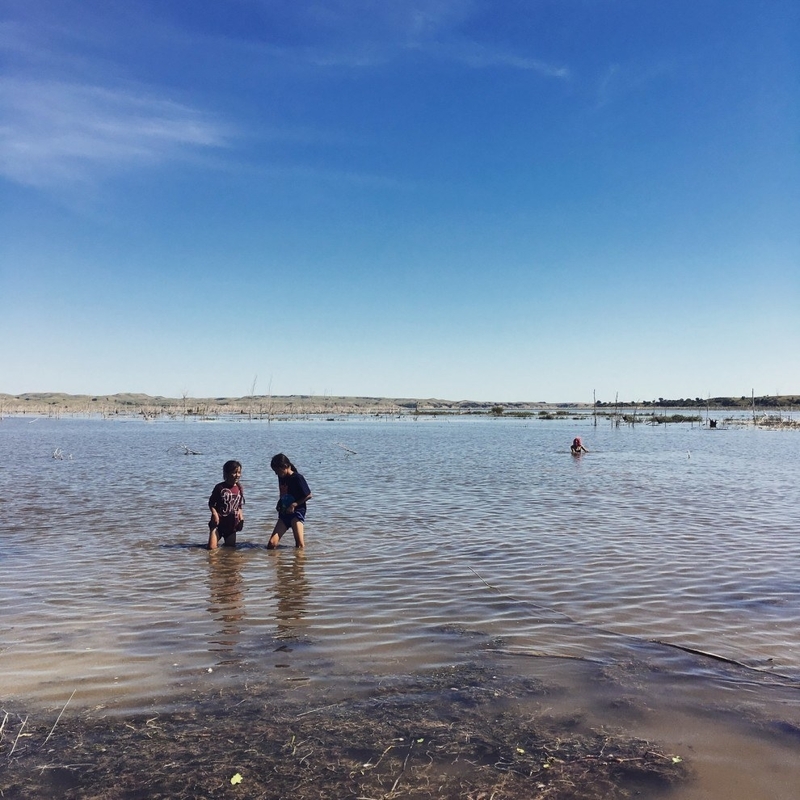 In April, Standing Rock tribal members camped near the proposed construction site and the movement has grown to be “larger than most small towns in North Dakota.” The voices of these people were heard on social media (Jane’s Fifth Reason for Hope) and beyond. 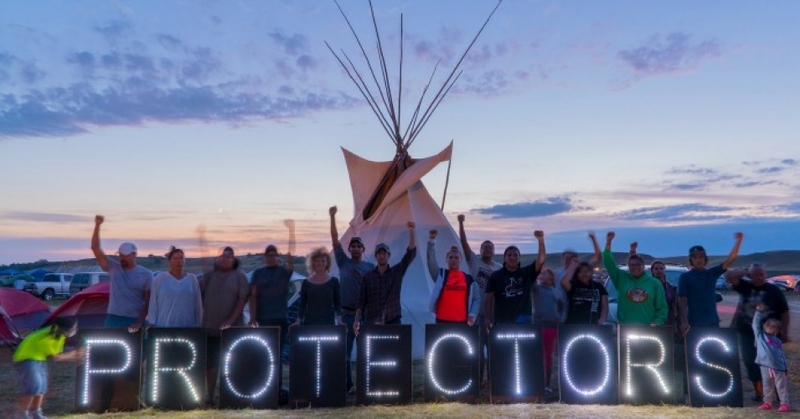 Despite violent confrontations, like those in early September, Standing Rock peoples continue to stand for their rights peacefully, as “protectors.” An answer to this struggle came in September as well, when the Obama Administration announced that work on the project would be halted. Over the past several weeks, the peaceful protest of the Standing Rock Sioux in North Dakota has quietly set the example of effective civic engagement. While their protest was answered with violence, I commend the Sioux for sticking to their peaceful principles. 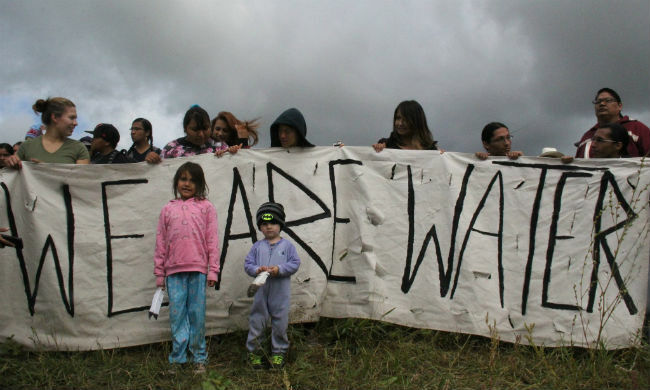 The Standing Rock Sioux are protesting the Dakota Access Pipeline because it crosses their sacred lands and threatens the water supply for their community. I commend them for standing firm. I also commend and congratulate President Obama for halting pipeline construction until these risks can be fully assessed. It is important to remember, however, that this stay is temporary. We must stand with the Sioux and the many other Native American Nations who came forward to make sure this route is closed to the pipeline for good. It is impossible for me to issue this statement without also commenting on the overarching need to redress the wrongs done to Native American communities throughout the United States. I was moved to learn of the hospitality the Standing Rock Sioux offered to all who came to support their peaceful demonstration. As I understand it, this was the largest gathering of Native American communities from around the United States that has ever happened. They, and others of every color and creed, were made welcomed by the Sioux who provided food, shelter and community to all who came. I have found this warm hospitality to be typical of the Native American communities I’ve had the privilege to visit. But one cannot encounter so much generosity – given so freely and from a place of such need – without also remarking on the fundamental injustices that these communities live with every day. It is time for all of us to stand with the Standing Rock Sioux and to stand up for all of those who are oppressed and marginalized by the near-term interests of profit at the long-term expense of the world we all share. For some, the idea of water and access to it, as well as land and respect may seem unquestionable. For Native Americans and other Indigenous peoples, this has been a constant battle. It is evident that human behavior may be self serving at times, but that more than ever and built upon the voices connected through social media, there is a spark of hope for cooperation. There is hope evidenced by the millions of people standing for what they believe, standing for the rights of those both within a group and for other marginalized groups, working together to make an enormous difference. There may be more attempts for this pipeline, and others like it in the future – along with likely thousands of other detrimental projects around the world. However, when we continue to do what we believe, we truly can protect the well-being of ourselves, each other and our planet. Previous ArticleWill CITES Conference Provide Hope for Wildlife?